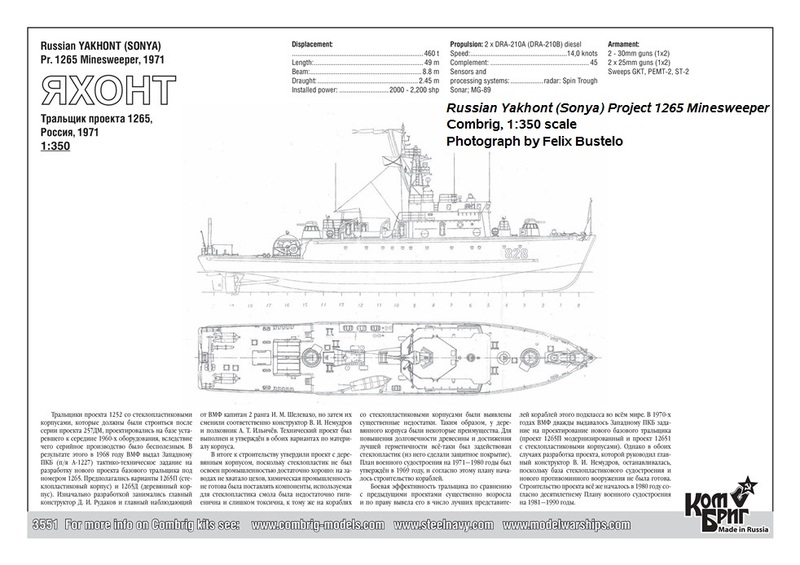 Soviet allied navies. 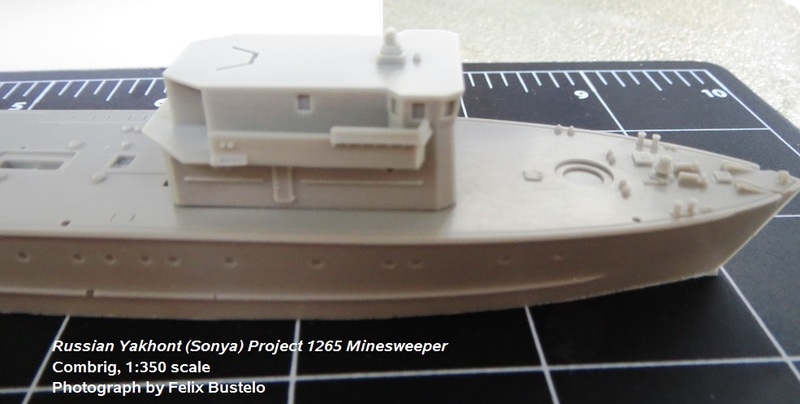 These ships were categorized as base minesweepers. 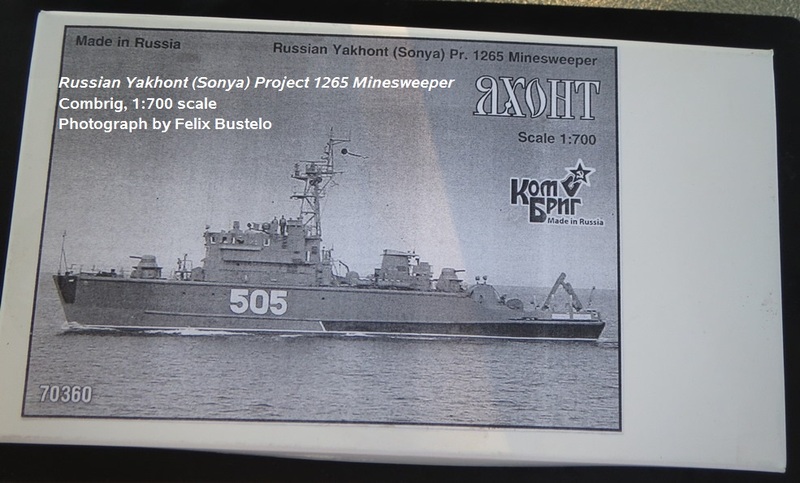 NATO gave this design the code name “Sonya”. 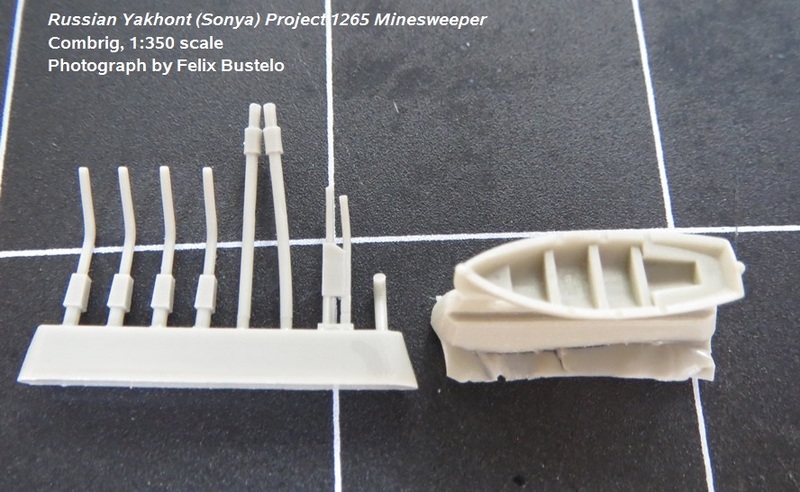 and improved sonar. 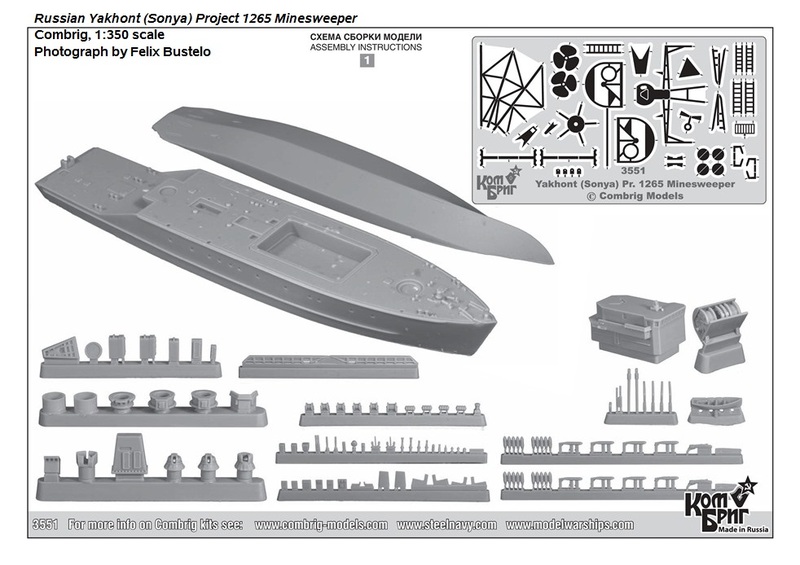 These ships were also fitted with an explosion-proof central operations area where all key systems could be controlled remotely. 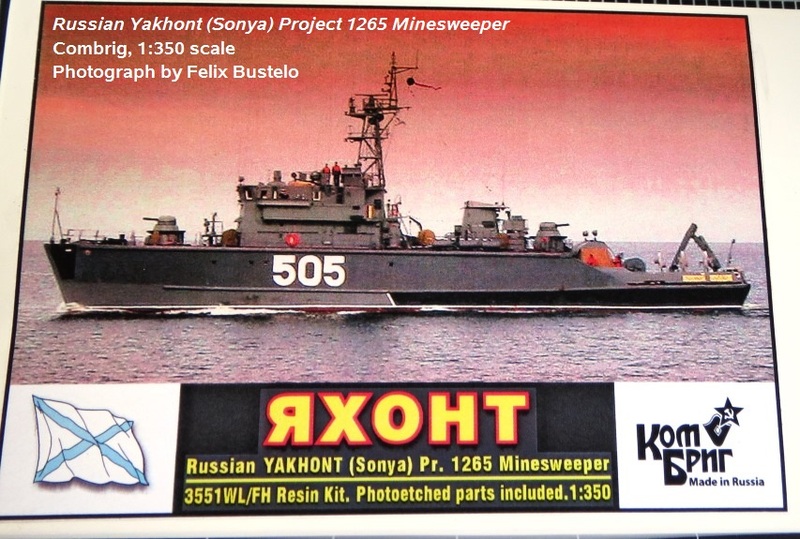 230 30mm, with some units replacing the aft 2M3 with another AK-230. 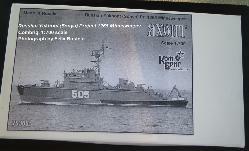 Some ships have two single AK-230s fitted or a twin forward and single aft. 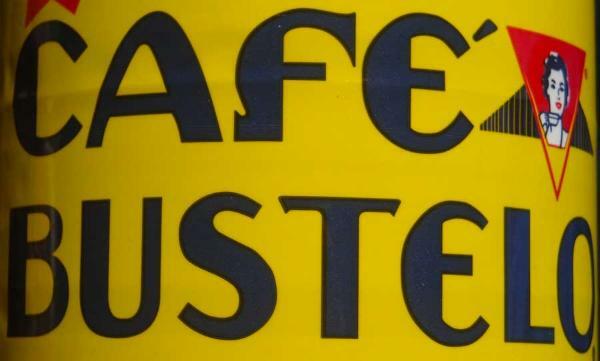 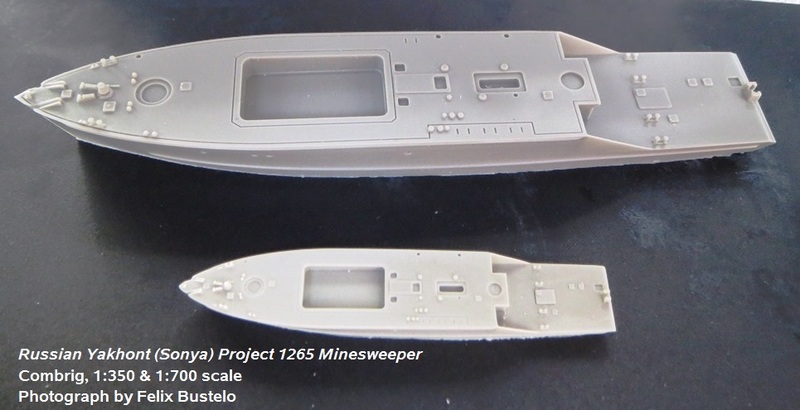 The total number of units built is hard to confirm as some ships were decommissioned and replaced with new builds with the same hull number. 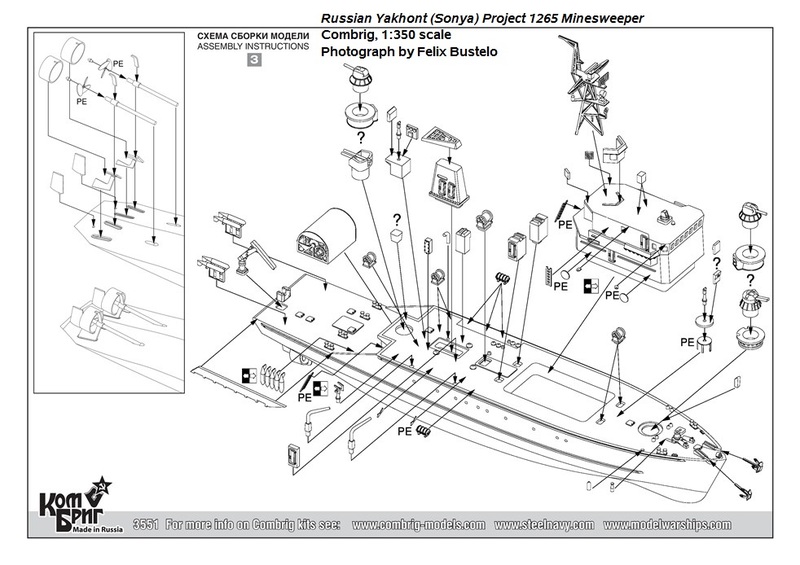 Azerbaijan, Bulgaria, Cuba, Syria and Vietnam. 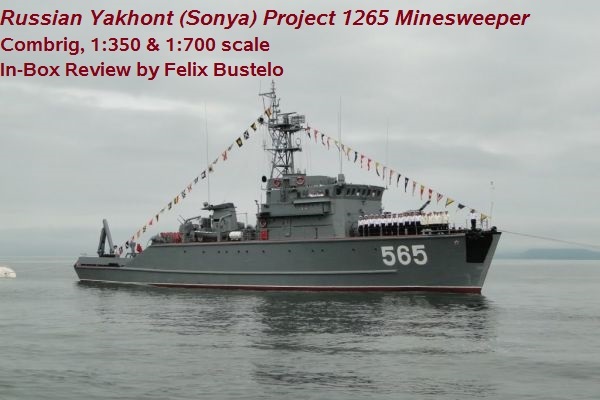 Currently 26 ships are active with the Russian Navy with 14 in reserve. 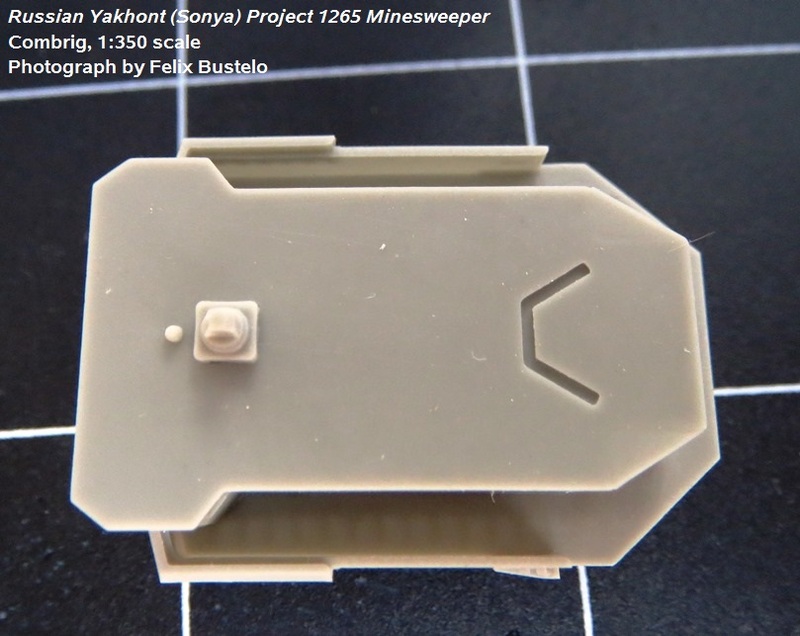 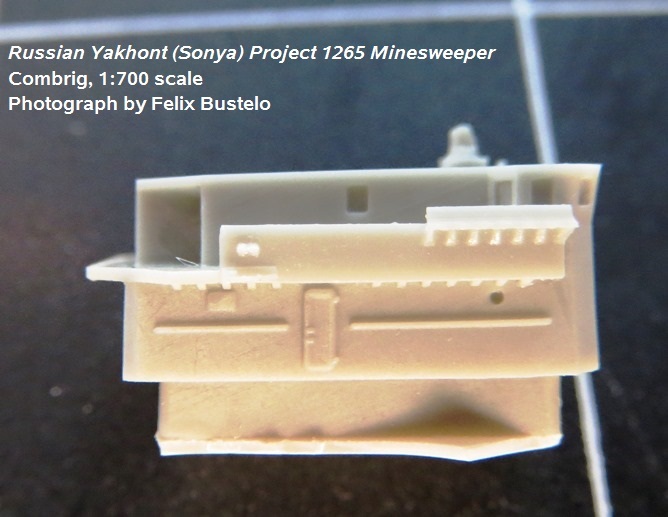 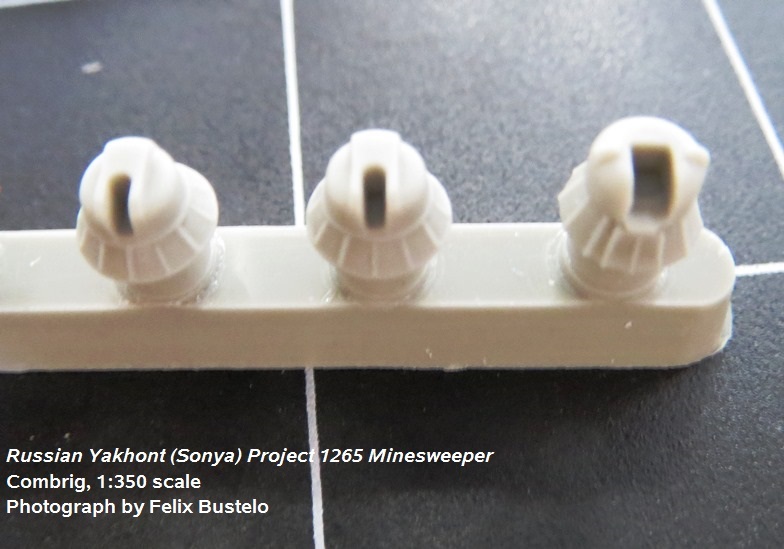 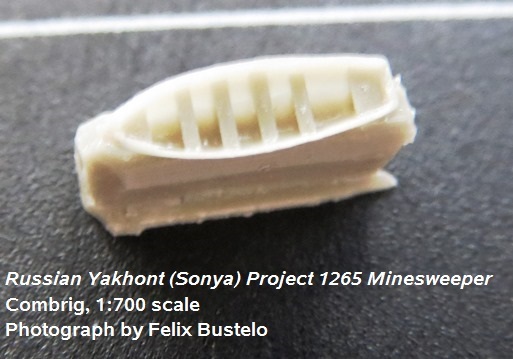 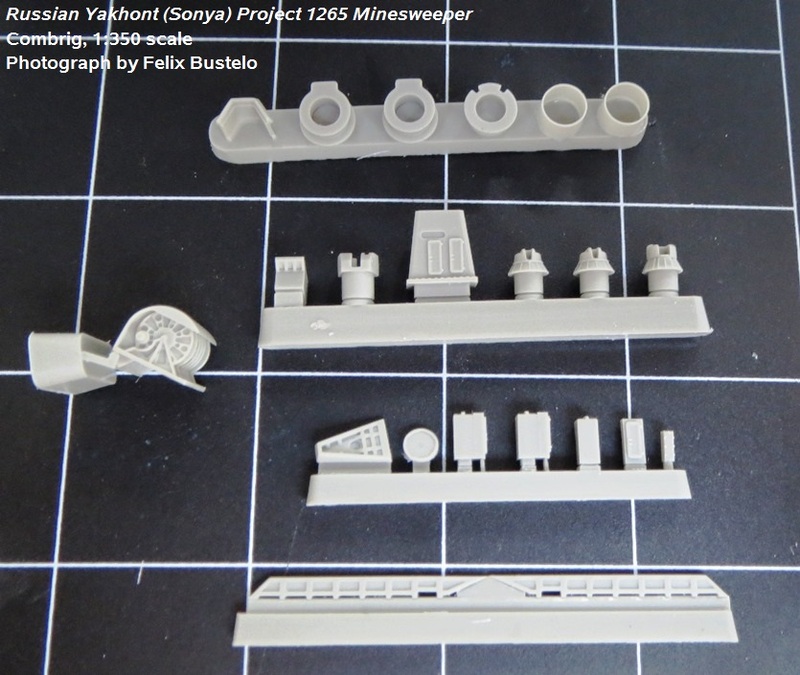 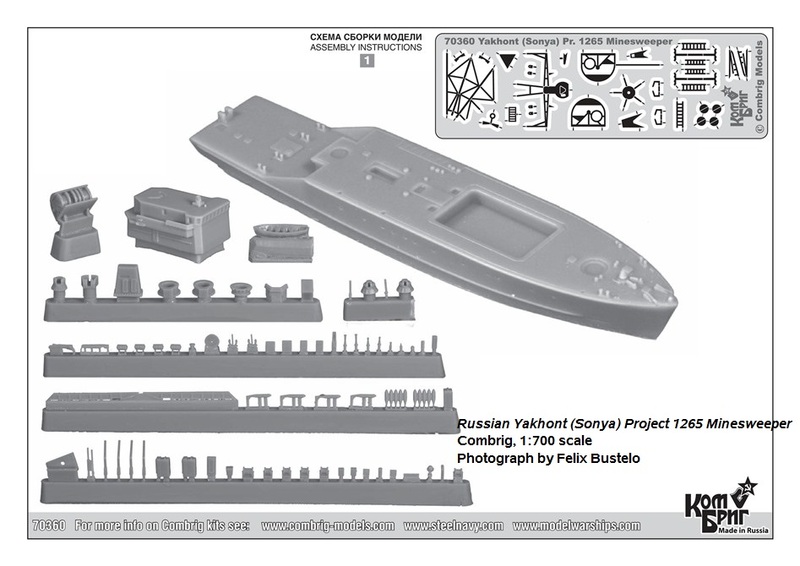 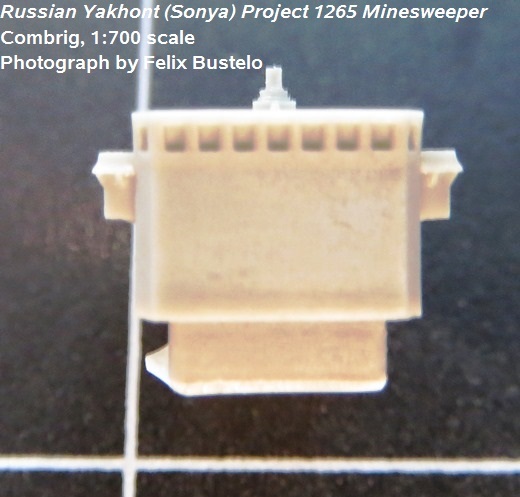 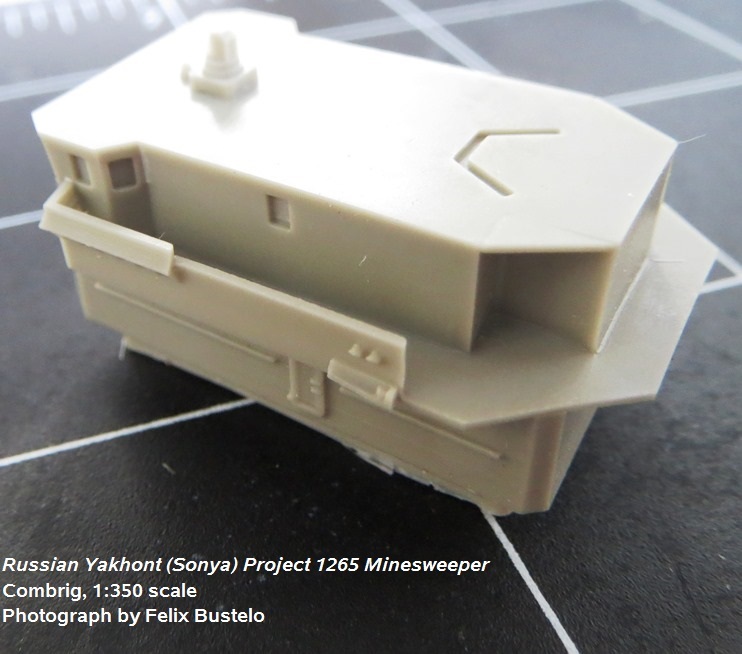 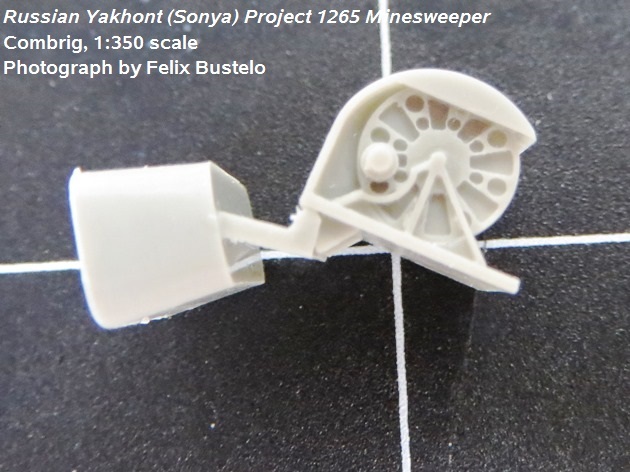 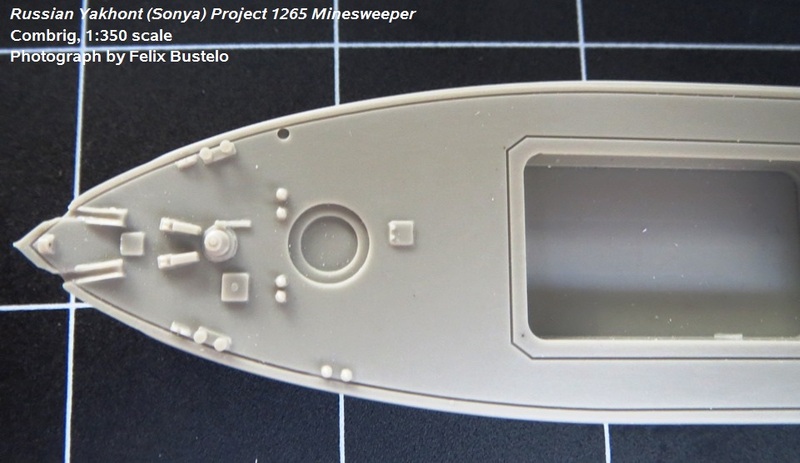 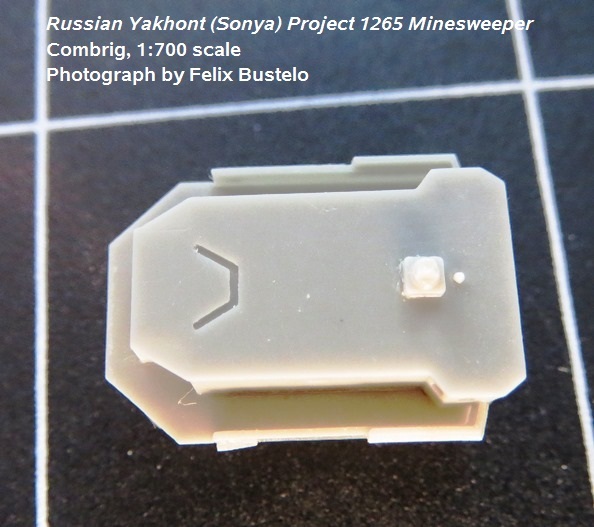 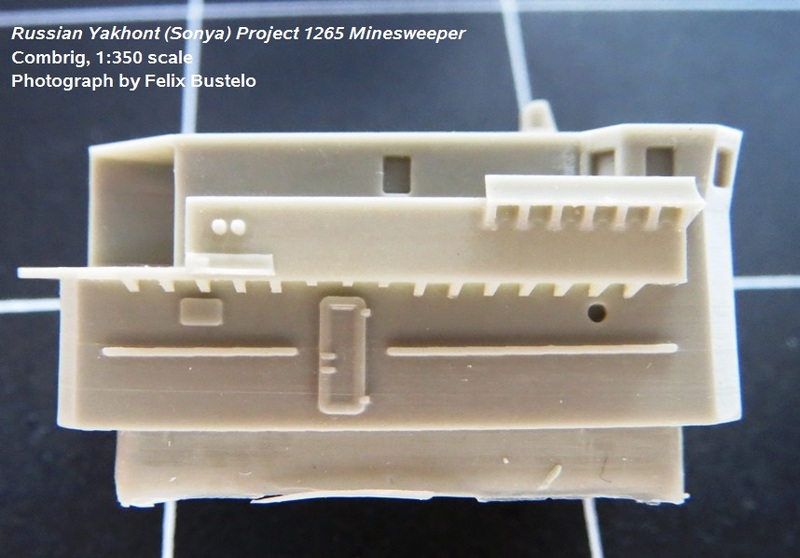 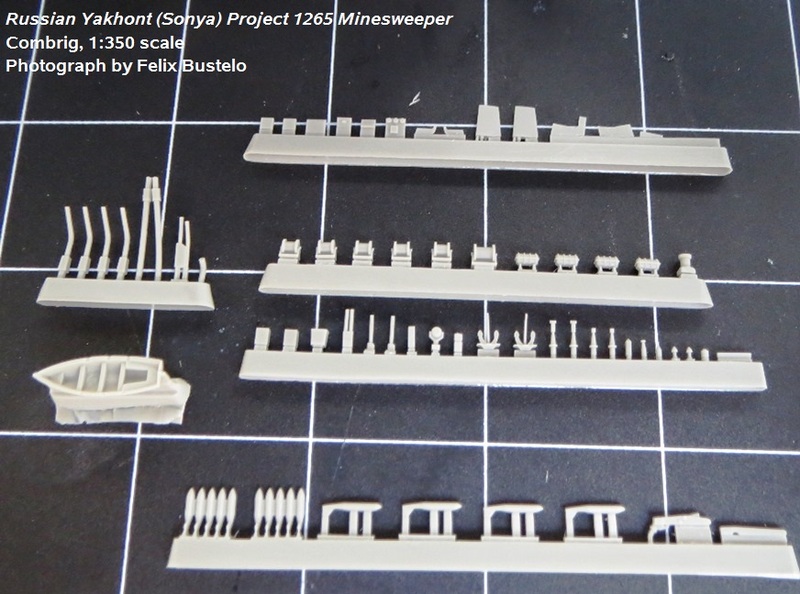 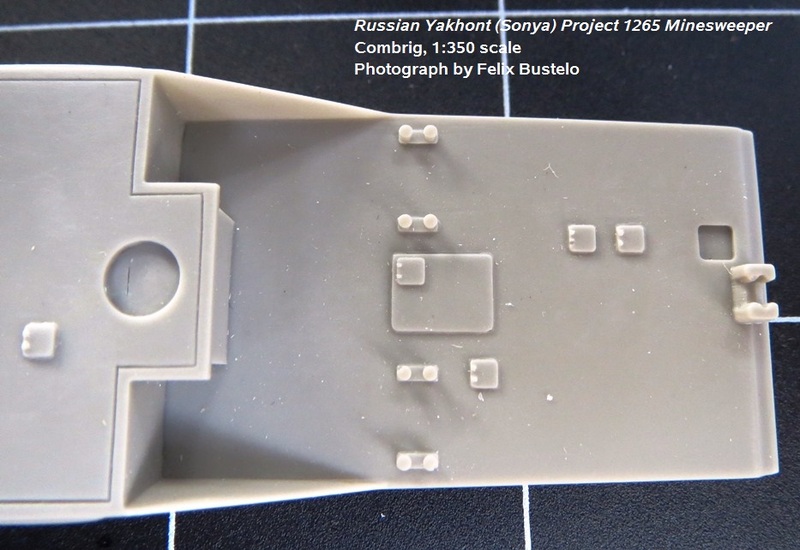 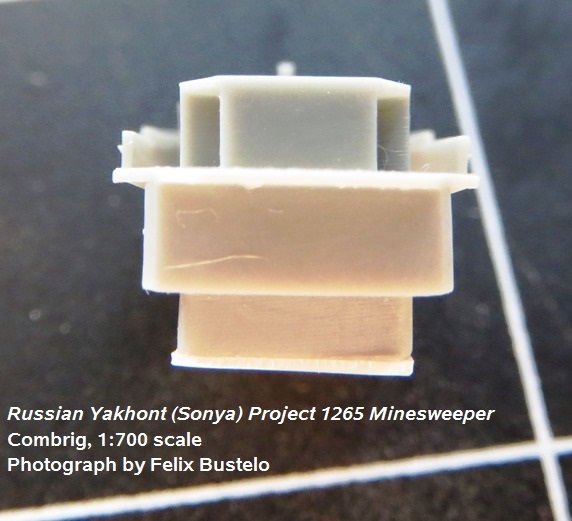 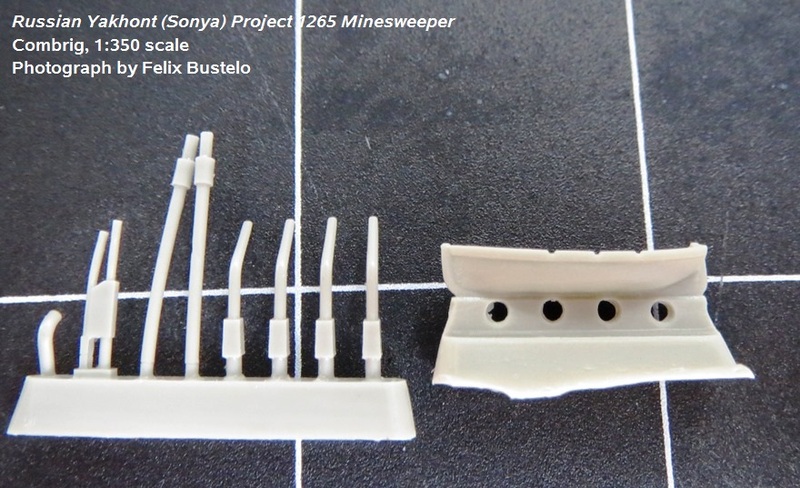 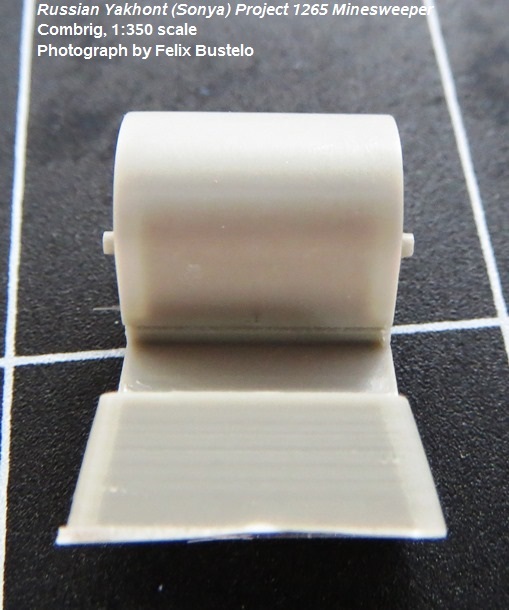 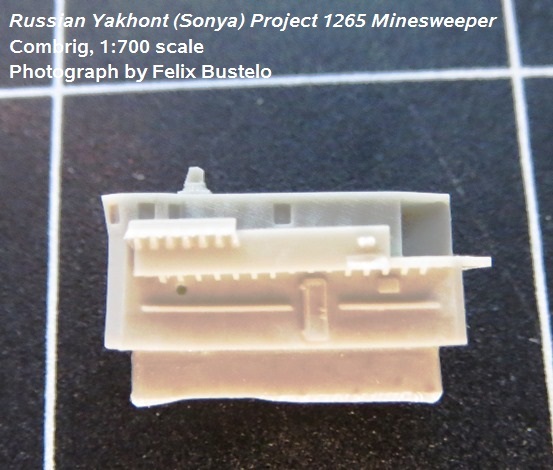 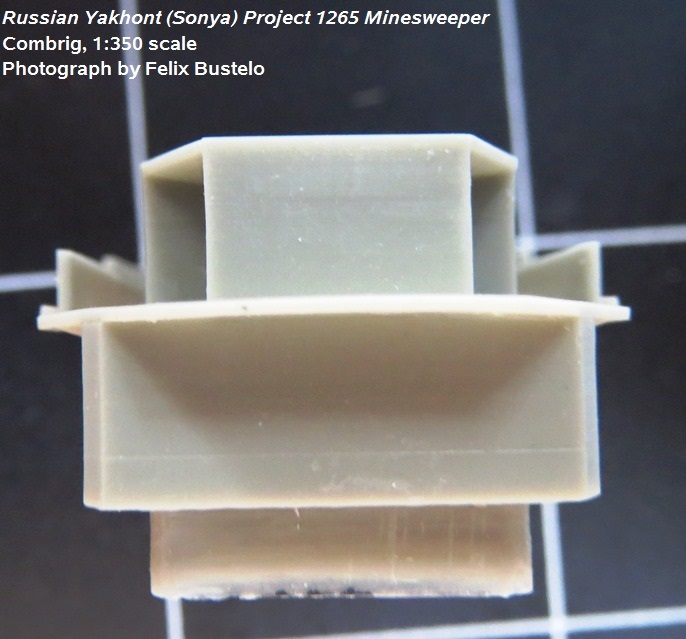 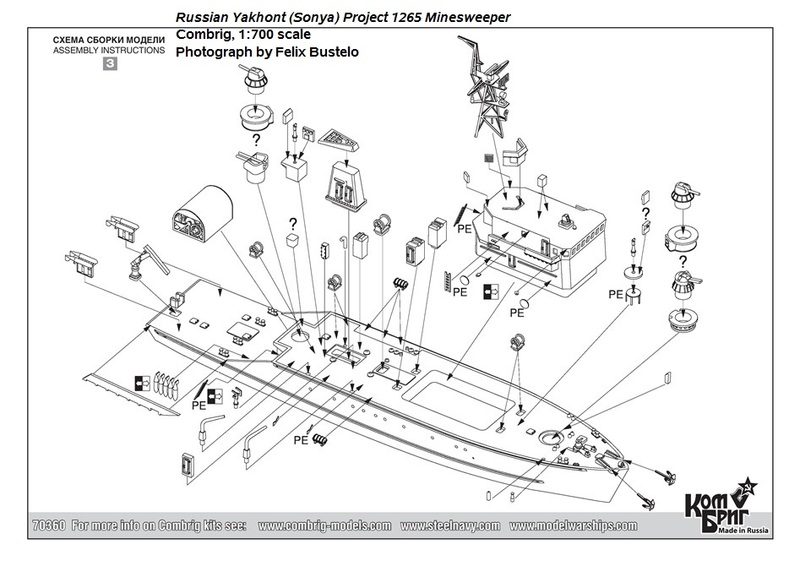 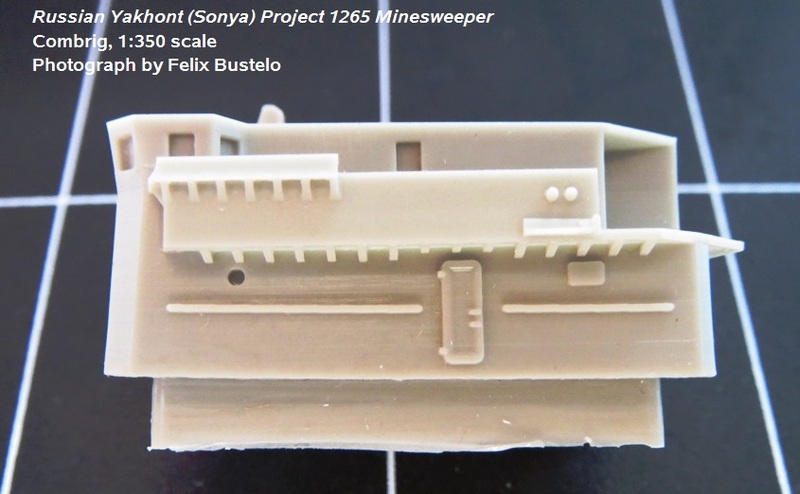 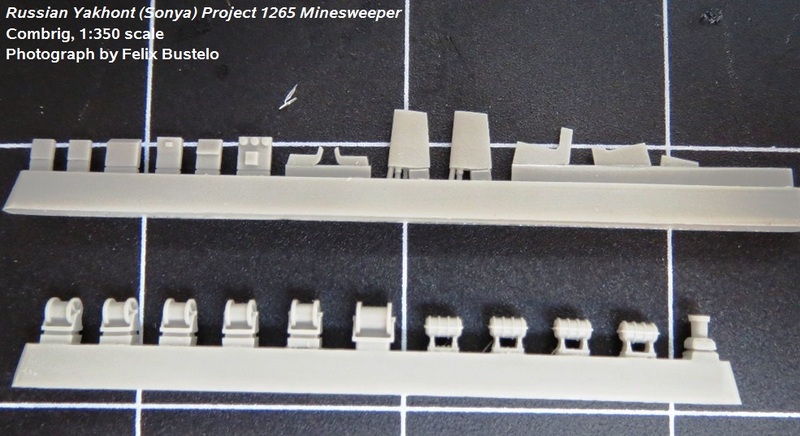 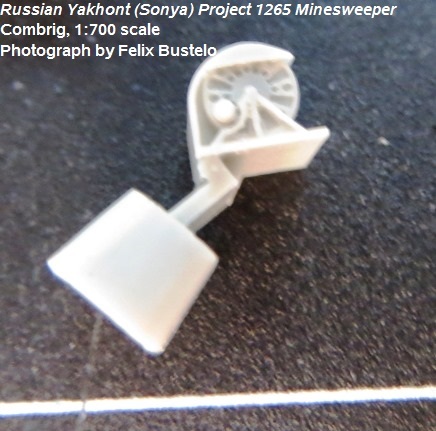 Combrig has simultaneously released kits of a Yakhont class minesweeper in both 1:350 and 1:700 scale. 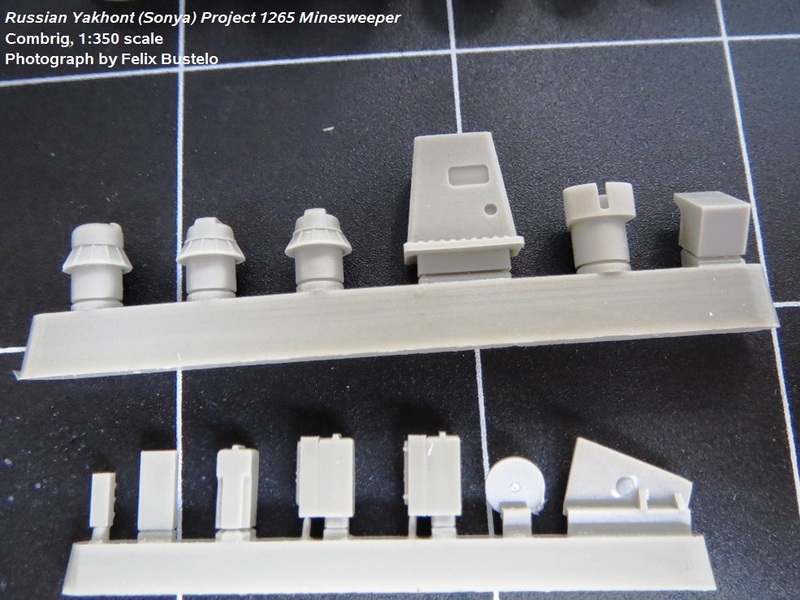 This in-box review will examine both kits. 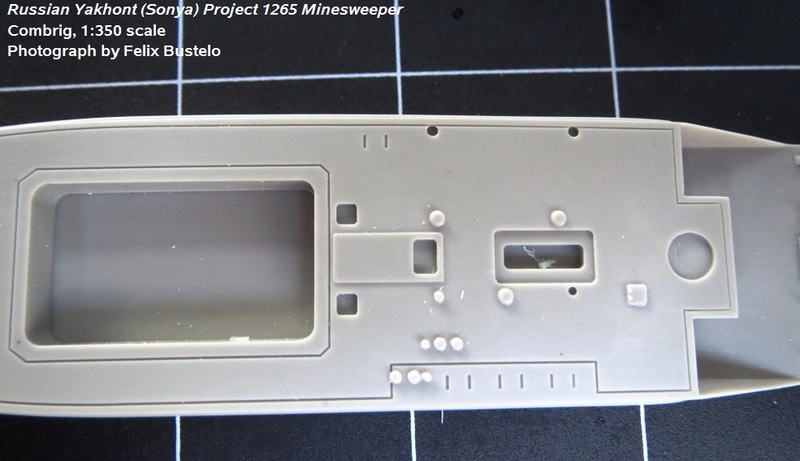 Both versions are comprised of resin and photo-etch parts. 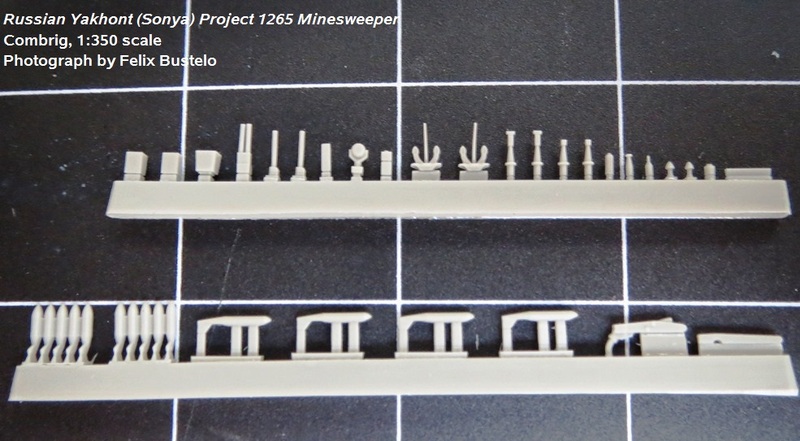 resin bits along the edge. 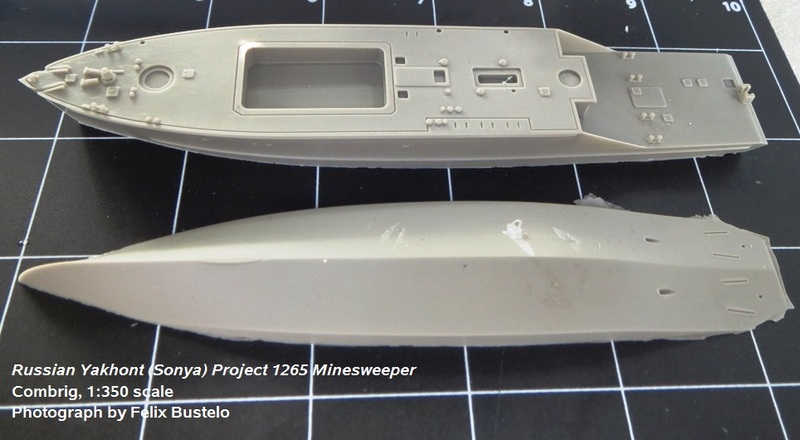 Mating the hull sections will require some filler to hide the joint. 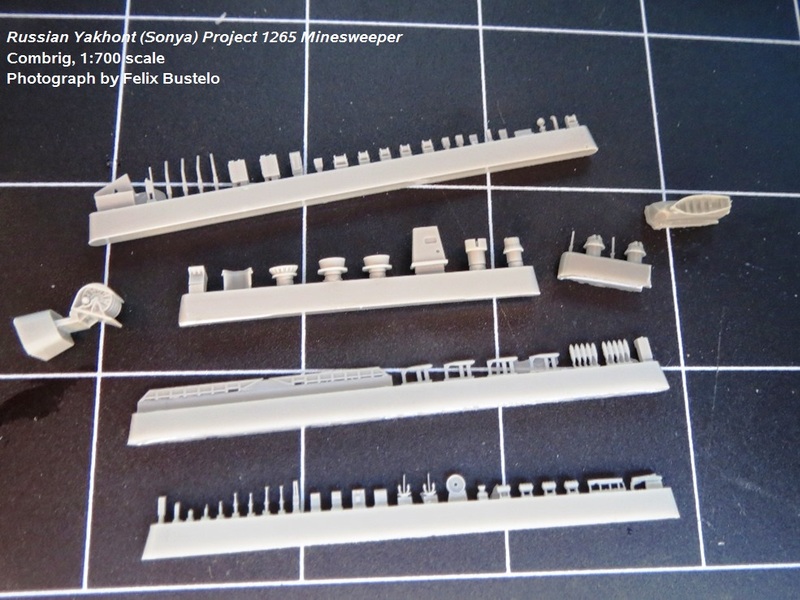 The next largest part is the bridge structure, which is very nicely detailed with recessed windows, running lights and some water-tight doors. 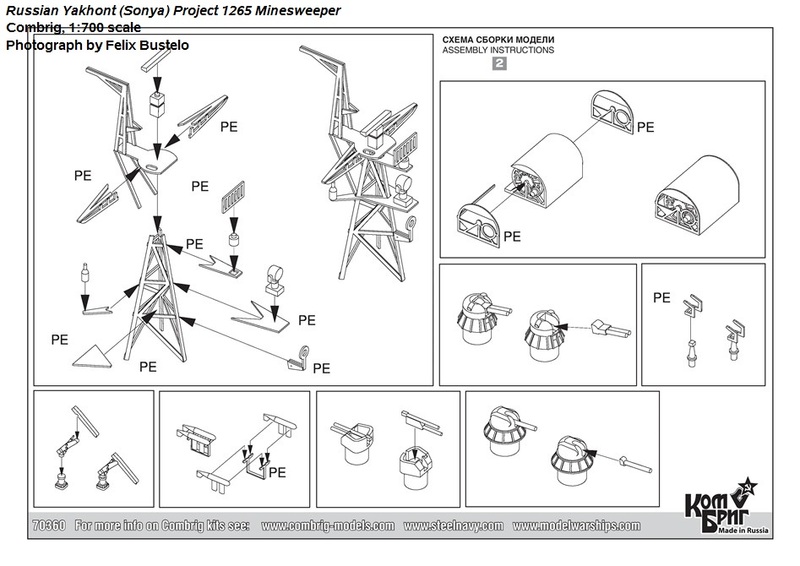 assembly instructions. 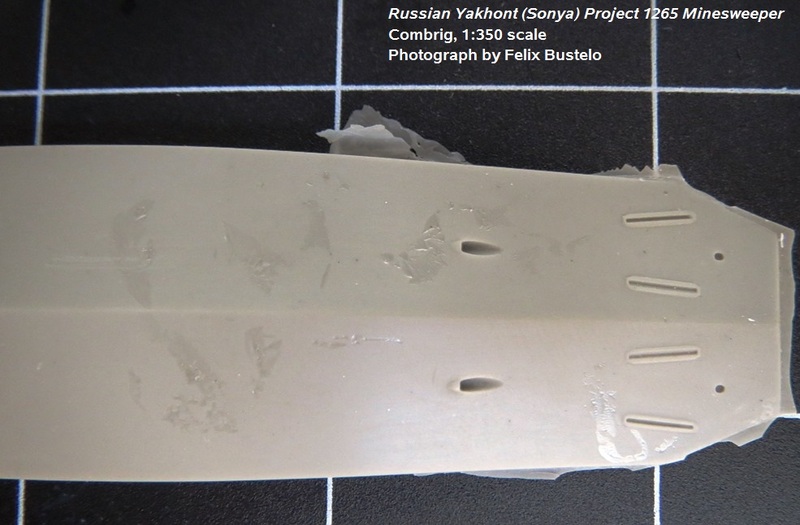 It’s a shame that this was somehow missed since an effort was made to have a lot of detail cast into bridge structure part. 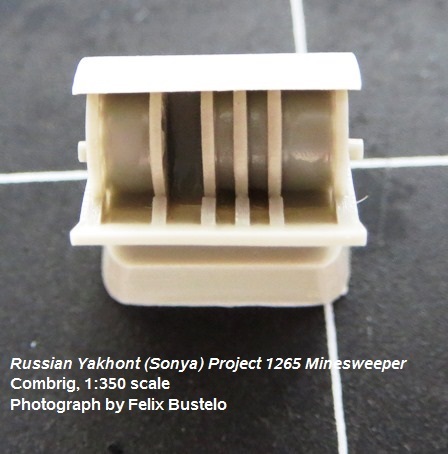 out and ensure a flush fit. 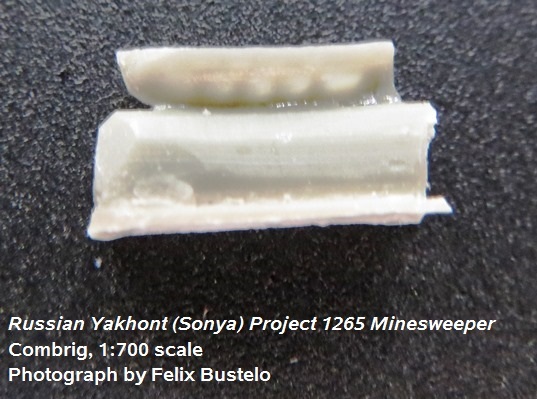 carefully removed from the casting runners. 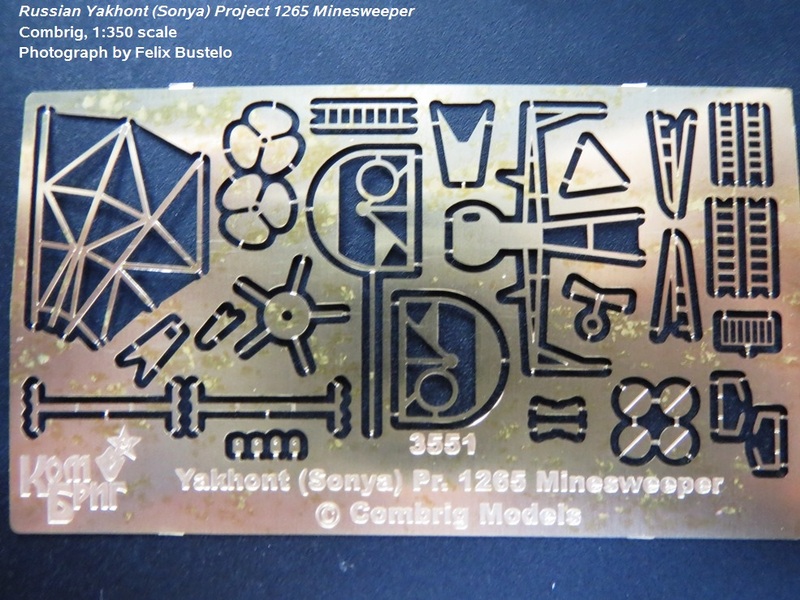 small set of decals was included with this kit. 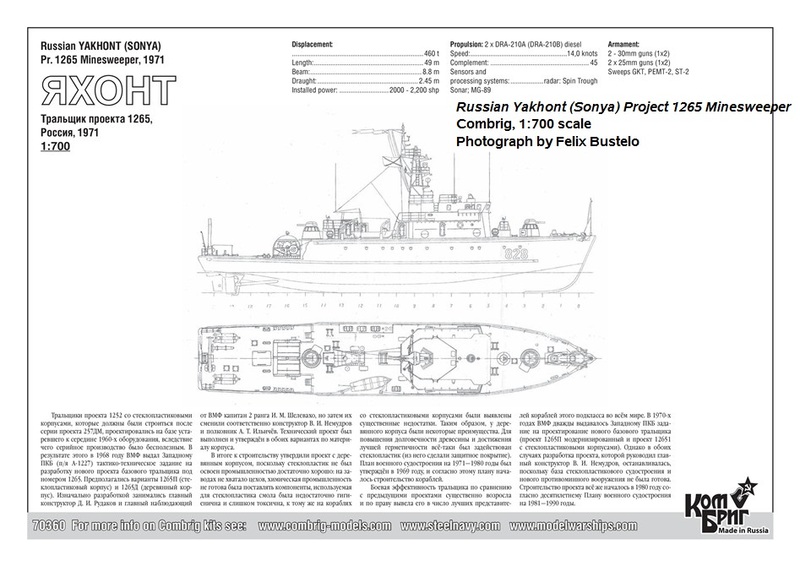 are several color photos on the internet that will help guide you. 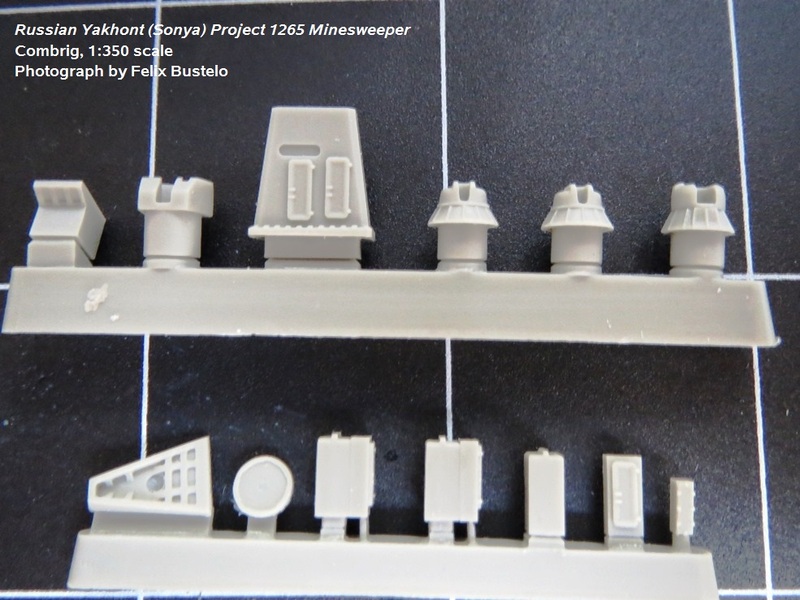 criticisms I made about the large scale kit also apply its diminutive counterpart. 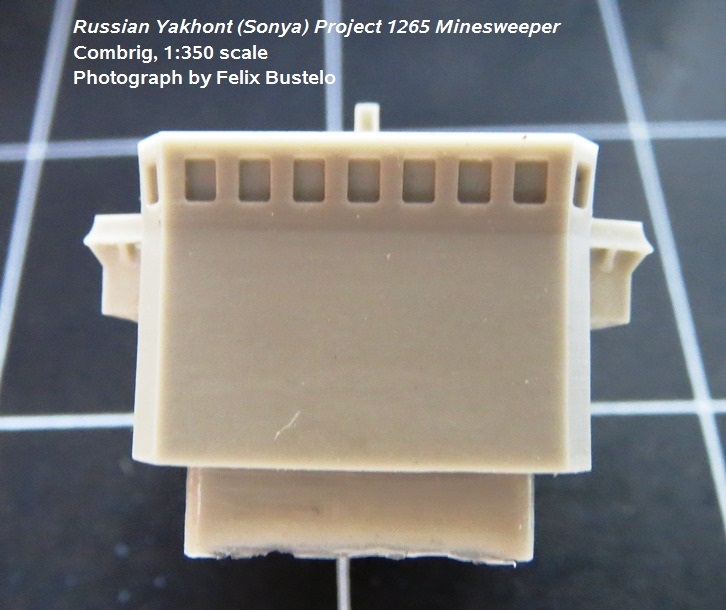 source for Combrig kits in the United States. 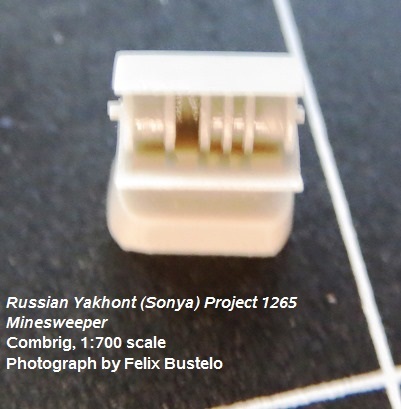 My thanks to Combrig for providing this review sample.